I quit sugar (again) on Oct 11. Things were going great until I gave in to temptation on my birthday. 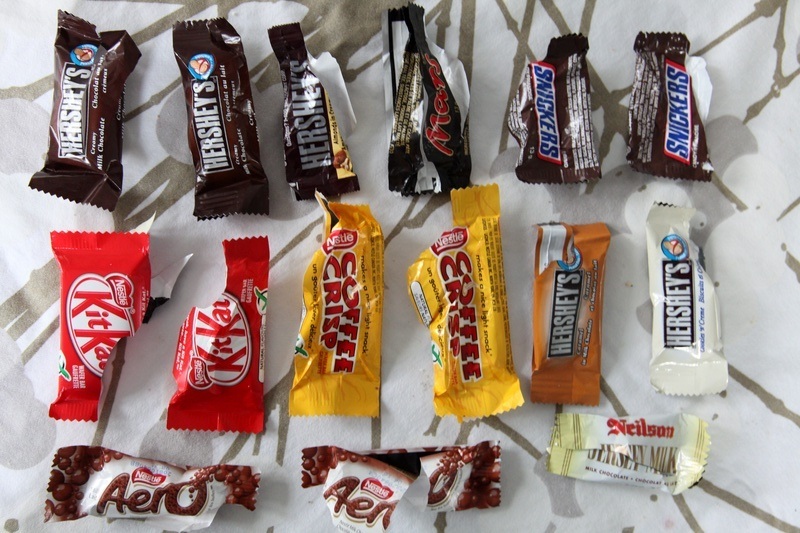 After that, I started making allowances for a bite of this, and a bite of that...then, yesterday...15 Halloween chocolates, all.at.once! I knew what I was doing. They were delicious! I have zero guilt. * Now I need to get back on track! Have you indulged in sweets lately? 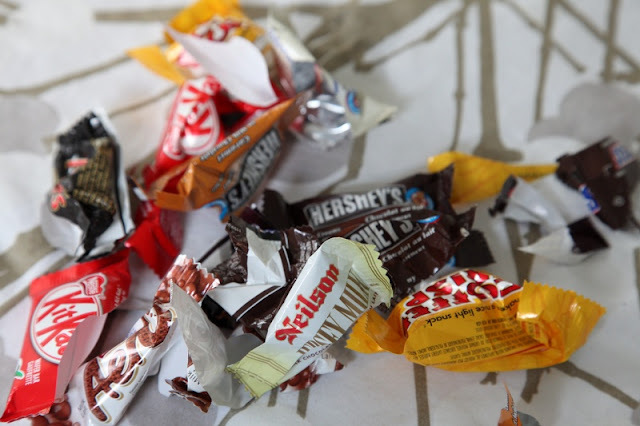 Have you ever attacked the Halloween chocolates? *maybe a little guilty. I hopped on the elliptical for 45 mins last night, as if that would somehow make it ok!